Noted actor-scholar Howard Burnham (BBC and PBS) offers a witty and informed survey of ‘the greatest game’ from its misty Scottish origins to the creation of the Augusta National. 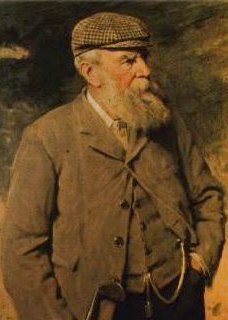 Old Tom Morris the icon of St Andrews relates the beginnings of the sport in his native Scotland with his own remarkable story together with the tragic coda of his equally remarkable son, Young Tom. 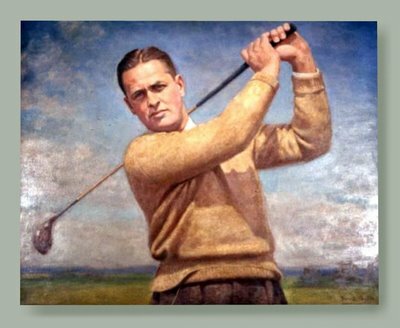 He then hands over to the American legend, Bobby Jones. The only man to win all four ‘grand slam’ titles tells the story of golf’s conquest of America, his own extraordinary achievements and his creation of the Masters at Augusta National. The program lasts approximately 45 minutes and is profusely illustrated with an accompanying PowerPoint.